Mike Cintolo talks about selling strategies, getting down to the basic plumbing of selling. He goes over the advantages and disadvantages of the different types of selling strategies by looking at hypothetical stock charts. In this episode, Cabot Growth Investor and Cabot Top Ten Trader Chief Analyst Mike Cintolo discusses the 50-Day Moving Average, Volatility and Volume. Cabot's Vice President of Investments Michael Cintolo shows you how to read stock charts like a professional investor. Mike Cintolo discusses how to handle a winning stock, especially one that's had a huge run in a very short time. Mike uses Youku.com (YOKU) and First Solar (FSLR) to explain this system. In this third of three videos in Cabot's stock chart school series, “How to Invest in Growth Stocks,” Cabot Growth Investor Chief Analyst Mike Cintolo takes you through portfolio management—a skill that most people don't really develop and which leads to them getting sub-par returns. He discusses the concept of portfolio management in general, as well as looking at some specific trades Cabot has made in the past. In this second of three videos in Cabot's stock chart school series, “How to Invest in Growth Stocks,” Cabot Market Letter's chief analyst Mike Cintolo takes you through the market timing indicators Cabot uses to make sure its readers not only make big money in growth stocks when the market is supportive, but keep it when the market turns bearish. 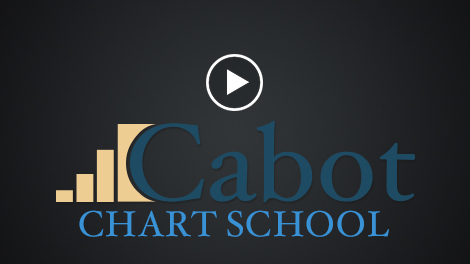 In this episode of Cabot's stock chart school, editor Mike Cintolo discusses buying and selling stocks for maximum profits. He discusses how to find great growth stocks, how to use charts to determine when to buy and sell, and gives some historical examples.